This evening the Skerries Coast Guard team conducted a scenario based search training exercise in the area of Barnageera Bay to Balbriggan harbour. Several shoreline search teams were deployed strategically to the area with good visibility reported by all. 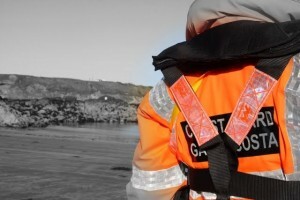 Skerries Coast Guard – a voluntary coastal search & rescue unit of the Irish Coast Guard. Remember – if you spot someone in difficulty on the coast, dial 999 or 112 and ask for the COAST GUARD. Your call could save their life. This entry was posted in Training by Skerries Coast Guard. Bookmark the permalink.